The Then India Sanmarga Ikya Sangam Fiji has set aside $10.2 million for major projects they have identified for the year. 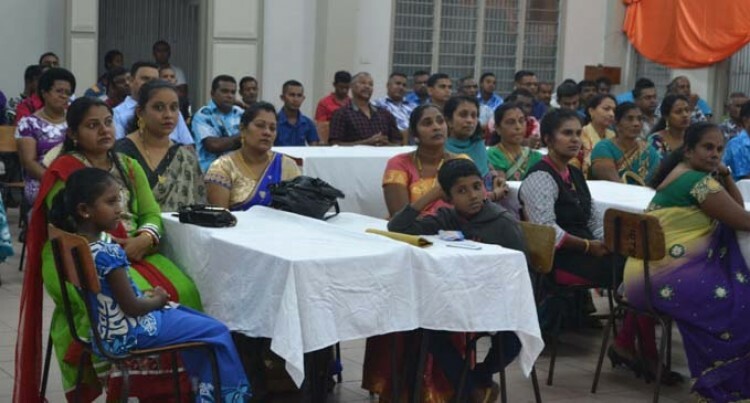 In an interview with the organisation’s National President Sadasivan Naicker during the launch of their annual convention in Labasa on Friday, he said this included the construction of a cultural house in Nadi, a Then India Valibar Sangam (TIV) centre and the extension of Nasinu Sangam School. Mr Naicker said these important projects were earmarked to take place this year. “Sangam has bigger projects that will eventuate in the near future,” he said. “There’s a cultural centre that will be built in Nadi and maybe this will start next month and there is a TIV house and NASINU Sangam has a big project with 16 classrooms and a hall. He said there were also plans to construct hostels for its nursing students in Labasa, but the plans were in its very early stages. “Later on we have plans to have a hostel for the student Nurses, and we are still in its drawing stages but that is definitely going to come,” Mr Naicker said. He is also making a call to nurses in the country who wish to pursue a degree to make use of their nurses bridging course. “We have bridging courses for degree programmes, the main centre is in Labasa, but we have more than 135 students in Suva and 125 students in Lautoka who are under this programme,” he said. “Maybe in another two months time we will move to Ba, Sigatoka and Nadi.